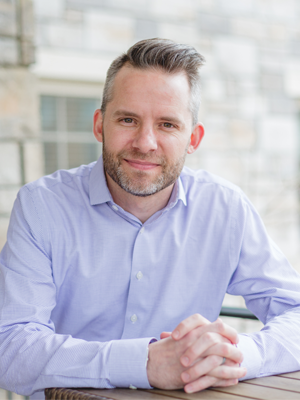 When Ryan Crouse (’18, MBA) started the master’s of business administration program in Trevecca’s School of Graduate and Continuing Studies (SGCS), he admits his focus was a little a little, well, out of focus. Crouse’s experience quickly changed his attitude, though. Now, just a few months shy of graduating with his master’s degree, Crouse is more focused on how he can become a better leader. For Crouse, who earned a bachelor’s degree from Miami University (Ohio) in marketing in 2002, going back to school to get his MBA wasn’t a snap decision. It was an idea that formed over a period of years. After completing his undergraduate degree, Crouse spent more than a decade working for Ferguson Enterprises, a plumbing wholesaler, mostly focusing on operations and wholesale management. In 2013, Crouse joined Healthcare Corporation of America (HCA) as project manager. He recently moved into a new position at HCA, clinical provider support manager, a management position with the company’s IT support team. A few years ago, Crouse’s wife, Katherine, completed her master’s in marriage and family therapy through Trevecca’s Graduate Counseling Program. She enjoyed the experience, and it got Crouse thinking about completing his master’s. Choosing to do so at Trevecca wasn’t a difficult decision. Crouse says his wife’s experience with the University, combined with the fact that Trevecca didn’t require him to take the GMAT and the program’s affordability, influenced his decision. Crouse isn’t the only business professional to take notice of Trevecca’s graduate business program. In terms of enrollment, Trevecca’s graduate business programs currently ranks fourth in Middle Tennessee, following the University of Memphis, Vanderbilt University’s Owen Graduate School of Management and the Haslam College of Business at the University of Tennessee, Knoxville. During the 2016-2017 academic year, Trevecca’s graduate business program became the fastest growing program in Tennessee. The exibility of the program, with one-night-a-week classes that fit Crouse’s already busy schedule, sealed the deal. Crouse says the ability to take one class at a time allows him to focus entirely on the classwork and discussions with his professors and classmates, helping him to fully engage with the content. “I have learned a lot in every class and have been able to apply it quickly to my current career. e professors have all been wonderful and there honestly hasn’t been a class that I didn’t enjoy,” Crouse says. While earning his master’s degree will allow Crouse to advance his career, he says that what he’s learned will help him to do something even more important: help others to achieve their career goals. 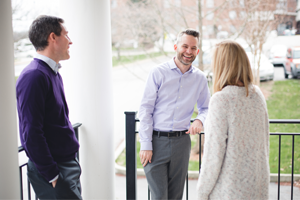 Servant leadership is a key component of Trevecca’s graduate programs, purposely woven into the courses. Students can expect to leave the program well prepared for management careers in the business world, ready to serve others and achieve results. 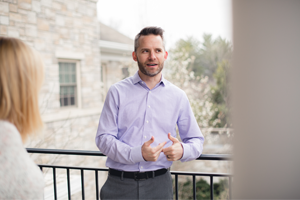 Rick Mann, professor of leadership and strategy and the director of graduate and professional studies, says that’s one of the things that sets Trevecca’s MBA program apart. Dr. Jim Hiatt, dean of the Skinner School of Business and Technology, agrees. “It is about flipping an organizational chart upside down and recognizing that a leader should be an organization’s ‘helper-in-chief ’ or number one servant,’’ he says, “aiding everyone to be the best versions of themselves possible and acting not out of selfishness, but for the greater good of all. That’s true for Crouse. Now in a management position at HCA, he plans to use what he’s learned to invest in those he leads. As for the future, Crouse will graduate with his MBA in May. Completing his master’s degree has opened up opportunities for advancement within his current company that he wasn’t eligible to apply for without a graduate degree. He’s excited about what the future holds and grateful for his Trevecca experience. If you're interested in transforming your career with an MBA from Trevecca, click below to learn more.